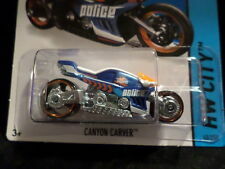 Hot Wheels Highway Patrol Cruiser. Year: 1977. Made in Hong Kong. Item is in excellent condiiton with only mild play wear. Rolls straight. '10 Chevy Camaro SS Police Interceptor "68" Hw Rescue Series ---Brand new, factory sealed item. ---Stored in a smoke free collector facility. ---Ships in a sturdy box w/ USPS 1st class shipping. Check out our store! We offer discounts on multiple items purchased together! International shipping available via the Ebay Global Shipping Program. Buyer responsible for any applicable import fees/customs duties. Thank you. HOT WHEELS '93 Warner DIE-CAST POLICE CAR No.54 K-9 UNIT. Condition is Used. Shipped with USPS First Class Package. Cockney Cab II. Year issue: 2018. Hot Wheels Exclusive. Hot Wheels Limited Edition. SWAT Police Van. 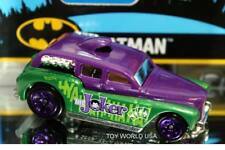 Hot Wheels diecast. Rear doors open. 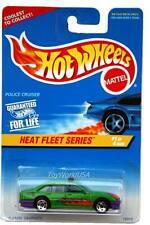 This is a lot of 2 Hot Wheels Ford Mustang GT Concept 2014. '69 GTO JUDGE Pontiac BIRMINGHAM POLICE Hot Wheels 2012 Main Street New SEALED! BLUE Dodge Charger Drift Police Car. HW City ~ 2014. BFC63. New in Blister Pack! TREASURE HUNT ERROR. FIAT 500 POLIZIA CFH70 Police Car HW City 2015 NEW in Pack! In the 2015 Q case, Hot Wheels released the Fiat 500 on a Treasure Hunt card. Is the Fiat 500 a Treasure Hunt?. The short answer is no. Treasure Hunt cards were printed in error. It is not a Treasure Hunt. 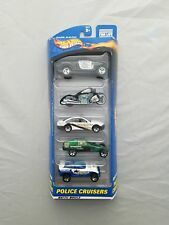 Hot Wheels - Cop Rods - Series 2 - Complete Set Of 16. Condition is New. Shipped with USPS Priority Mail. All 16 rare. Check out my other auctions for more diecast. I can combine shipping. WHAT YOU SEE IS WHAT YOU GET. AS SOON AS I AM ABLE TO DO SO, AND ANSWER TO THE BEST OF MY. I WILL RESPOND. EVERY ORDER. 🚩What good is purchasing a mint car if it doe sn ' t get to you that way ?. 🚩The card and carare in excellant condition MINT. Also, it is very fortunate and very rare. The only possible place in my attic that wasn't affected was where the totes WITH THIS CAR IN IT WAS. Wheels still roll. Took a lot of pics to show condition. BLACK Ford Mustang GT Concept Sheriff Police Car. CFH69. LOOSE, fresh from pack. Paddy Wagon. Casting modifications from 1970 - 1973 (The windshield was removed) only modification made. Hot Wheels. The price reflects this. MOC: The vehicle exists in mint state. The card and blister may have minor defects. Hot Wheels City Works Dodge Charger SRT8 is 110/240 in the 2011 series. Police car is also # 2/10. Please see my photos for visual detail. NIB and comes from a smoke free home. Thanks for looking! 17 Hot Wheels and Matchbox 1:64 Scale Police Vehicles. TREASURE HUNT. 2017 HW Pursuit. Sheriff Car. DVD04. New in Package! THIS CAR IS FROM THE RED LINE CLUB 2014 FACTORY SEALED MASTER SET, ALL WITH HOLOGRAM STICKERS. THESE SETS WERE LIMITED TO 450 TOTAL PRODUCTION. FREE Trial ! Number #173, #174 and #253 of 11,000 manufactured. 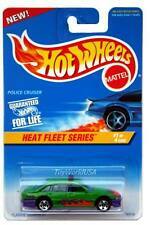 No longer available from Hot Wheels Collectors website. Olds 442 Police Cruiser. Neo~Classics Series. Hot Wheels. HOT WHEELS. These cars are IN Good TO Mint, condition. 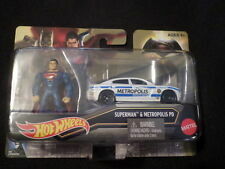 1997 Hot Wheels #622 city police car new in package with black 5 spoke wheels. See photos. WHAT YOU SEE IS WHAT YOU GET. I MAY NOT BE AWARE OF THE TYPE OF. AS SOON AS I AM ABLE TO DO SO, AND ANSWER TO THE BEST OF MY. EVERY ORDER. 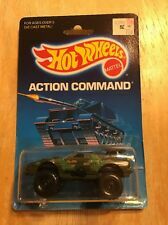 Hot Wheels Action Pack Police Force 1996 New & Factory Sealed! Item is in MINT or NEAR MINT CONDITION ~ See photos for accurate condition and judge for yourself. I DO MY BEST TO RESEARCH EACH VEHICLE TO GET ACCURATE INFO FOR EACH. INFO SUCH AS THE BOTTOM MATERIAL IS THE BEST ESTIMATE I CAN GIVE LOOKING THROUGH THE BUBBLE. Sheriff Patrol. Collector # 59. Hot Wheels. Fire Fighting. Police Cruiser. Hot Wheels Limited Edition. Hot Wheels Exclusive. HUMMER H2. Hotwheels EARTHQUAKE PATROL. 221/247. HW 2012. NEW In SEALED Pack! SWAMP RALLY. Each car is made to race in one of the following nine terrains. Batman Classic TV Series Batmobile. FKB53. 2018 Hot Wheels NEW in Package! COLLECTOR 189. HOT WHEELS. BASIC HUB WHEELS. PRICE WILL BE CALCULATED BY WEIGHT. ALL OTHER COUNTRIES. 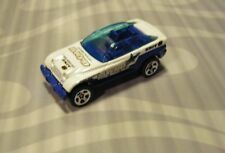 HW HOT WHEELS 2013 HW CITY #20/250 HW PURSUIT POLICE VEHICLE HOTWHEELS clean in! From 2012 the flying customs series. Sheriff patrol . Pkg in mint condition. Collector # 577. POLICE CRUISER. with Auto City Police GRAPHICS. Hot Wheels 1996. & Good Luck to all ! Kootenai County Idaho. Sheriff Car #8. LOOSE NM/VERY NICE. MADE IN THAILAND. 1-64 SCALE. This is a must for the serious diecast collector. It will be by weight of the actual item. No Exceptions! (HW City)(#17/250). This is a 2013 Hot Wheels '10 Camaro SS.